When mortgage rates are dropping, that is normally a time for you to think about reducing your monthly payment and look to refinance as this lower interest rate will cause less of your payment going to interest. With a Conventional Refinance where you have 20% or more equity in the home you will have your private mortgage insurance removed and if you don’t have 20% equity, your PMI will still go down and will cost a lot less than FHA mortgage insurance premiums. As I just mentioned, a lot of times it is beneficial to refinance from your FHA Loan to a Conventional Loan. A Conventional Refinance will require a lot less in mortgage insurance than an FHA Loan will charge you. As your equity levels increase, PMI costs less and less, while for an FHA Loan the mortgage insurance is the same over the life of the loan until you refinance out of it. 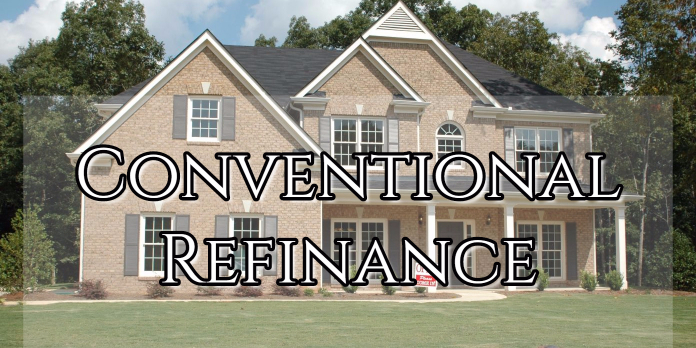 If you are living in an area where property values are increasing then there is no reason why you shouldn’t be investigating a refinance from your costly FHA Loan to a Conventional Loan via Conventional Refinance. Another attractive way to get out from under paying mortgage insurance on a monthly basis is to see if your mortgage loan borrower offers Lender Paid Mortgage Insurance or LPMI. In a Conventional Refinance, private mortgage insurance is avoided if you have less than 20% equity in the home by adding LPMI into the loan. Yes, your interest rate will increase a little bit with a higher mortgage payment, but it is normally more than offset by the saving of not paying PMI over the course of the loan until you get to 20% equity or more. If your home or property has more than 20% equity, then you can take out money against the property by ways of a Cash-Out Conventional Refinance. Let’s say you have a property worth $100,000 and you owe $70,000. You have 30% equity and can cash-out up to 20% equity. With this $100,000 property, you will be able to take $10,000 from the equity in your home and your new amount owed on the home will be $80,000. If you are looking for a Conventional Refinance with cash-out, then you need to call me ASAP at 888-900-1020 so that we can evaluate your situation and see if a cash-out is a possibility for you.